I do love eating foods that are in season to my area, New England has such wonderful fresh produce spring, summer and fall. But by this time of year I've just about had it with root vegetables, squashes and oatmeal. I want something fresh-picked, tasty and local! It doesn't help that only a few weeks ago I was in India munching on ripe papayas and fresh tomatoes. 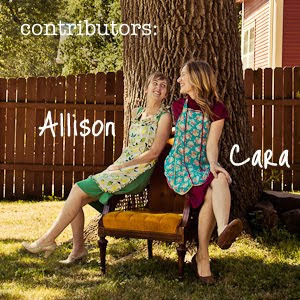 Allison, do you remember last year when we started called this month 'Blaaarch' because we were feeling Blah? The birds are chirping, the clocks have changed, yesterday I went out without a jacket, but still, spring is teasing us! Because I know its still well over a month away, and I won't be springing around the kitchen with fresh asparagus and baby lettuce any time soon. In the meantime, I'm craving something green. I read somewhere an idea for kale pesto bruschetta. 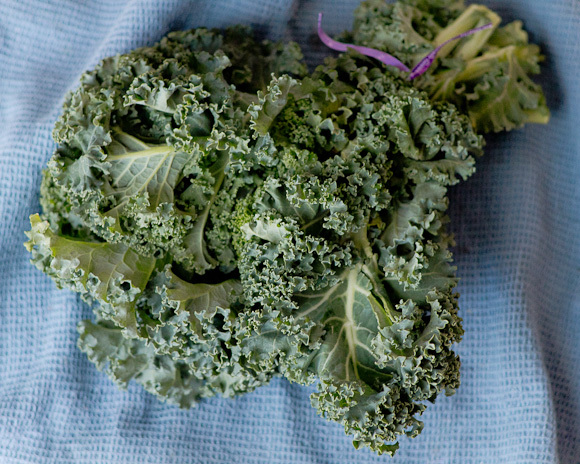 Kale is a cool-season crop, an excellent cooking green and I always keep a bunch on hand in the crisper drawer for adding to winter soups and stews, or whipping up in a green juice. In a food processor, pulse kale, walnuts and garlic until finely chopped. With motor running, drizzle in olive oil and lemon juice. An extra drizzle of olive oil if you like! OMG! This looks and sounds awesome. 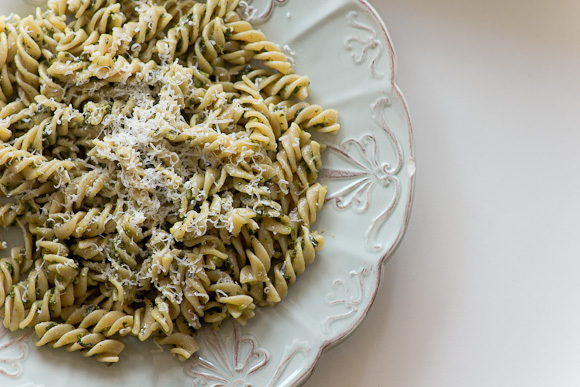 I have made spinach and walnut pesto before and bet this would have a great green taste. MMM! I do remember when we called March Blaarch because it was so long and dark. Yet, I feel as though I shouldn't complain about this March. It's been fairly warm and winter hasn't seemed as bad or as long this year since we've had warmish weather and little snow. I long for the days I can pop out the back door, into the garden and pick fresh green onions and basil and tomatoes for my meals... SOON! Also... as I run from school to home to school to home to school again while eating my THIRD granola bar today I long for Spring and Spring break when I have time to COOK! 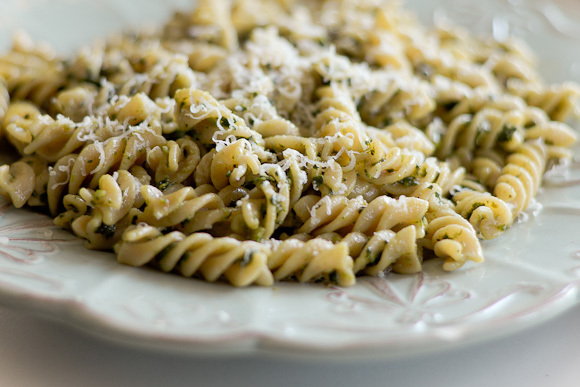 I am dreaming about this pesto. I want to pop out your back door and pick fresh basil and tomatoes too! This winter hasn't been bad at all, but its still no summer. Looking forward to spring break cooking posts, my friend. Cooking the Cover, volume 2.